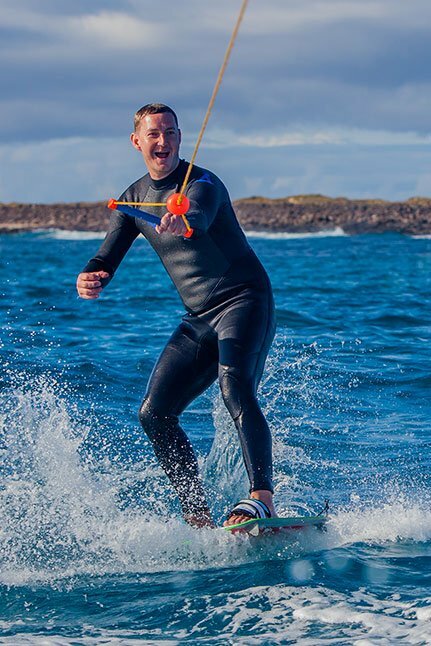 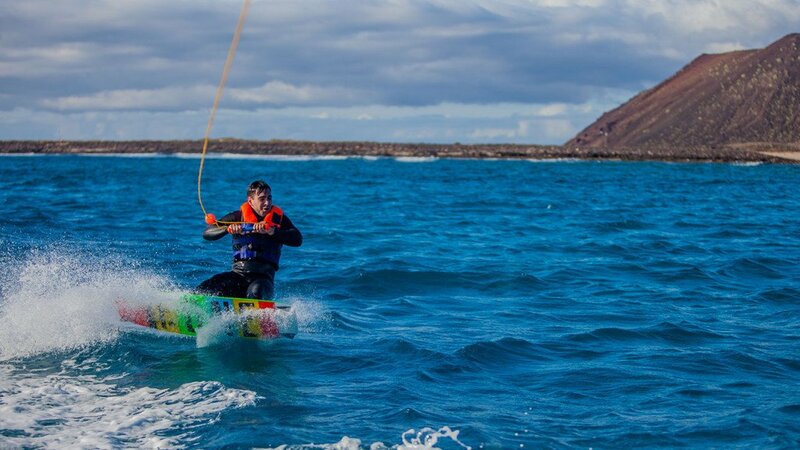 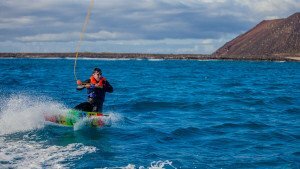 Usually chosen by kiters to practice their moves, the lack windy days, or just for those interested in making a wake session. 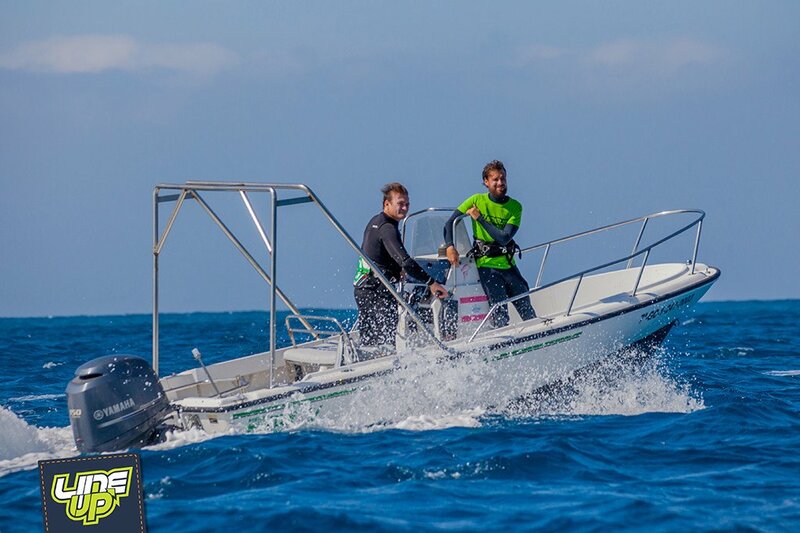 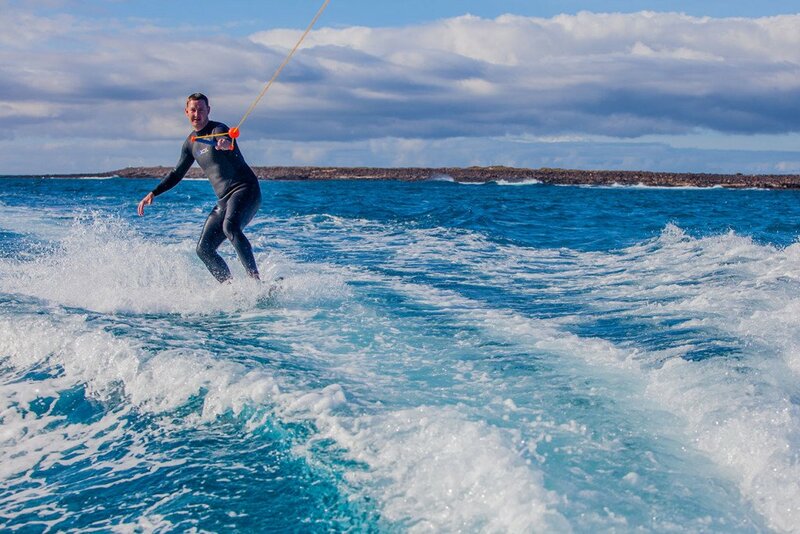 Both two are perfect excuse to meet the fabulous natural scenery of the Isla de Lobos, its clear waters full of fish just minutes north of Fuerteventura Corralejo. 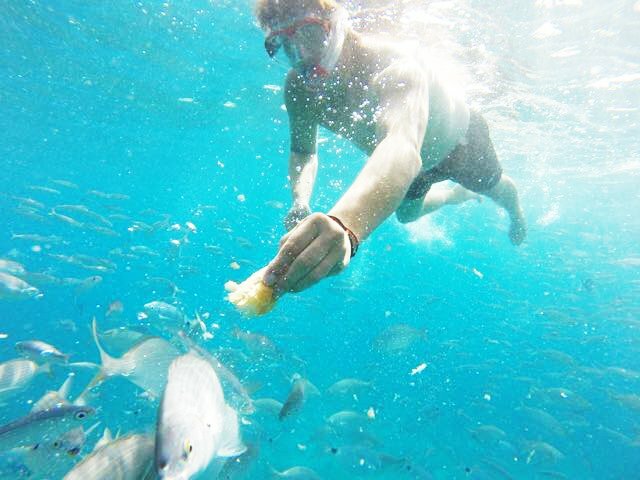 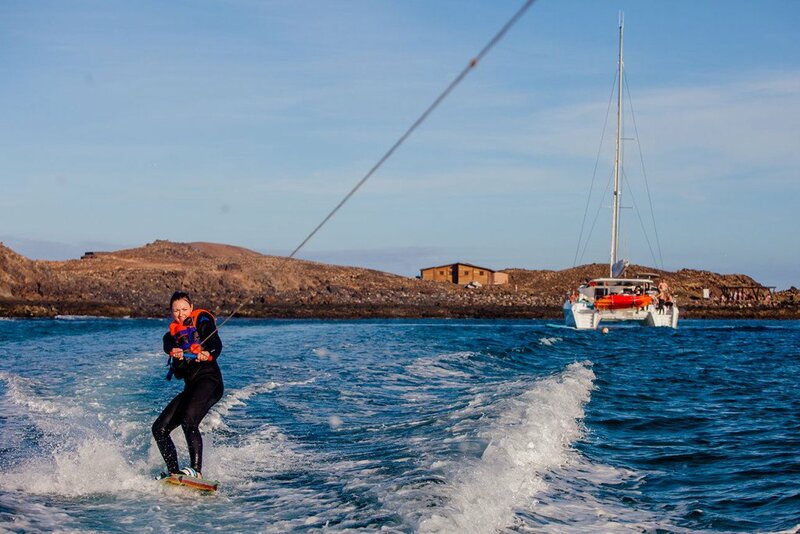 We go to the island of Lobos with our modern and spacious zodiac and near the beach of La Concha. 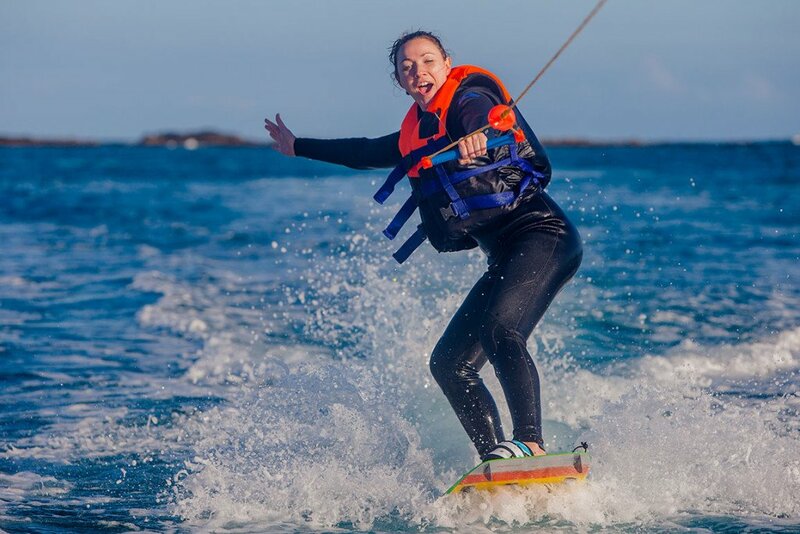 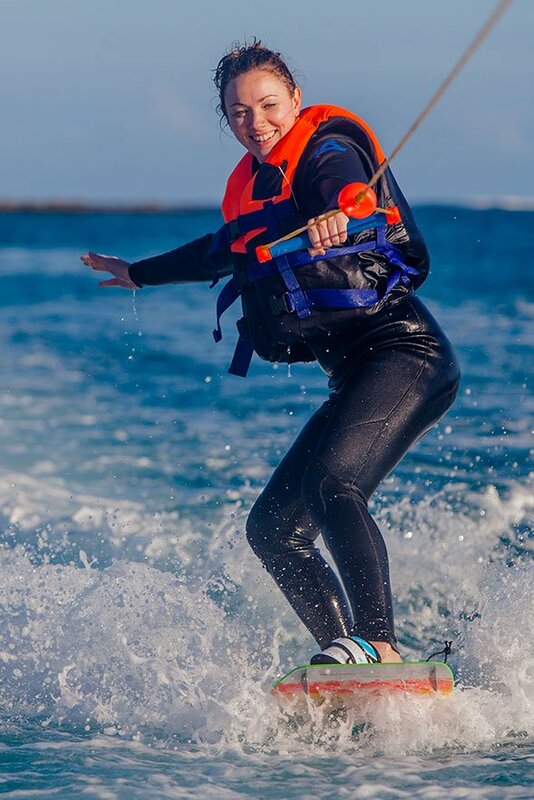 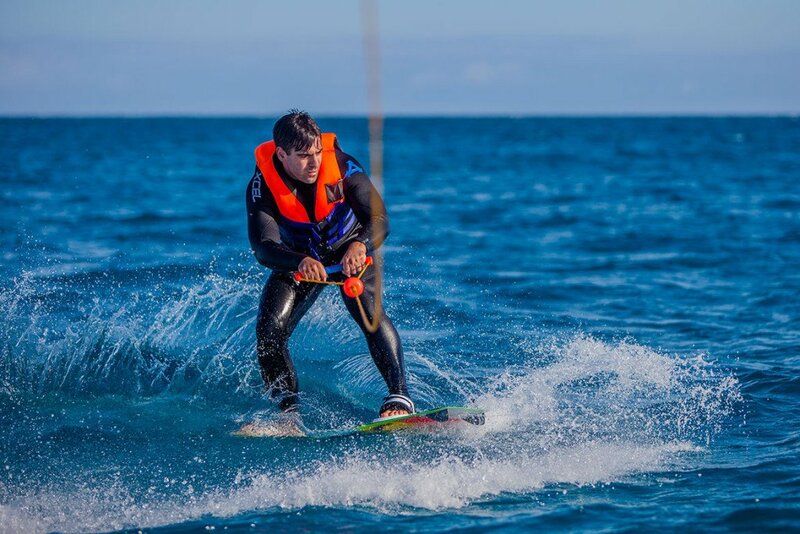 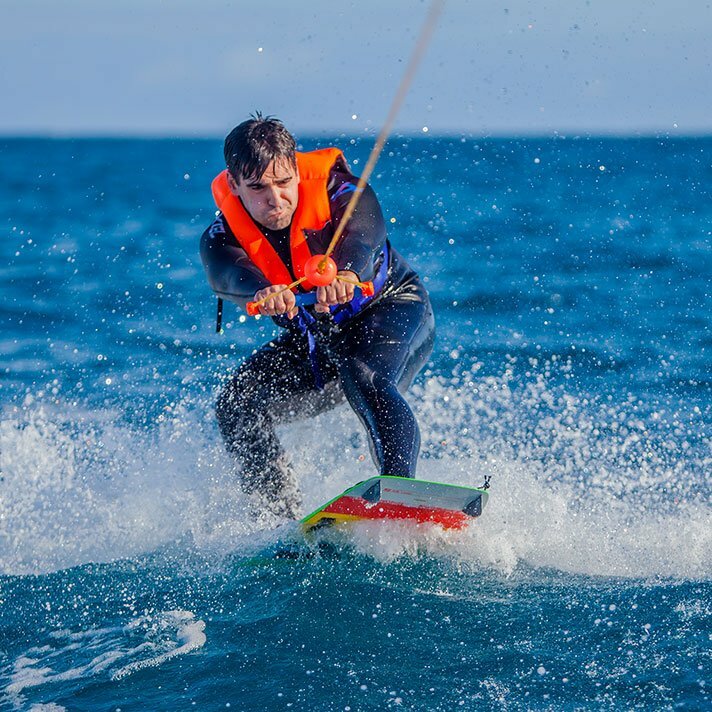 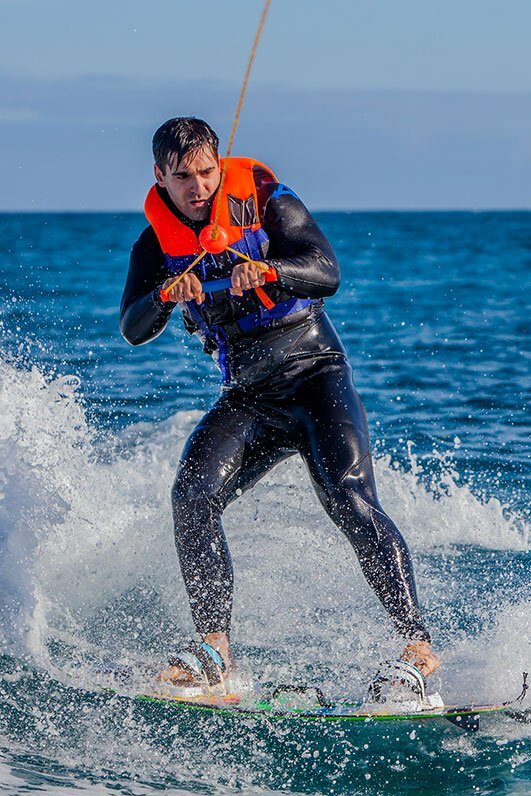 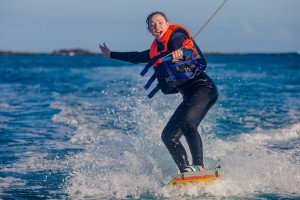 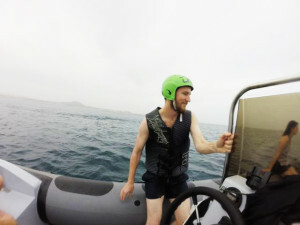 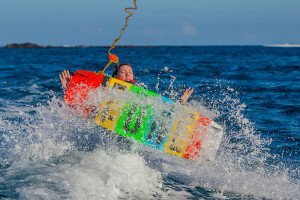 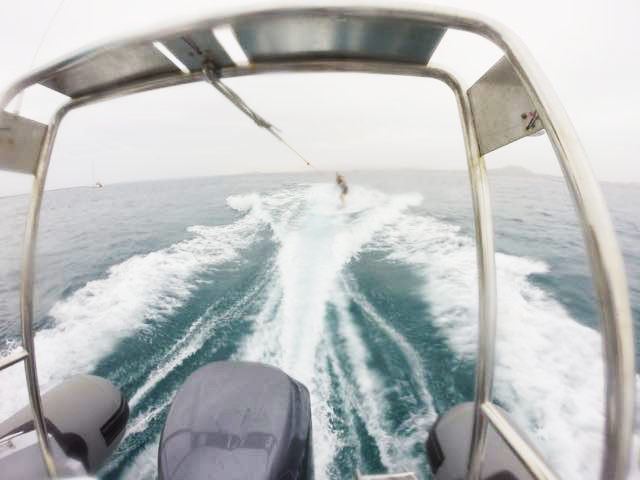 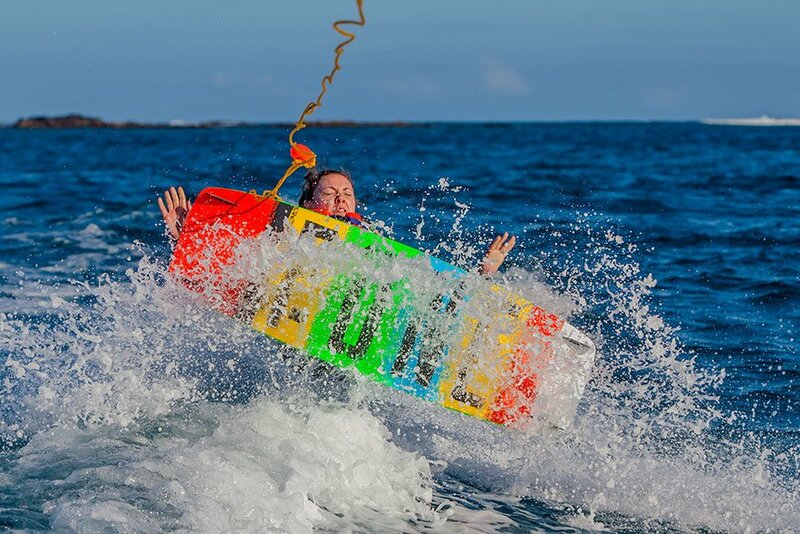 We do several tours for all participants to try the feeling started in the wake-boarding and more experienced try new manoeuvres or improve them.